Just weeks before I was at a Mother of Preschoolers (MOPS) event listening to a young Mom’s testimony of how she struggled with insecurities of being a Mom since she was not raised by her Mom. I knew this story all too well, it was mine too. I wasn’t expecting her similar testimony to confront a wound I had pretended didn’t exist, but there it was. 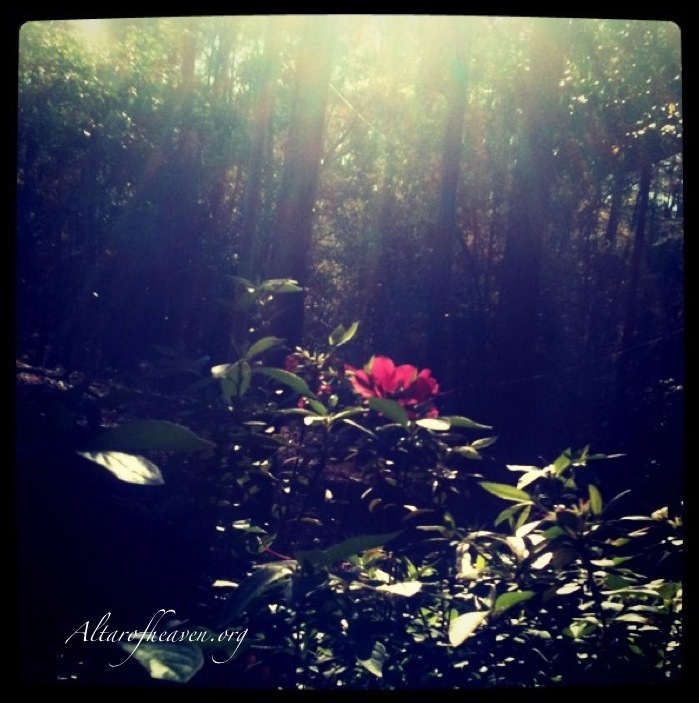 I sank low in my chair, while my body trembled from my attempt to hold back tears stored up in my heart. That day I let it ALL out and allowed God to heal a hurt. I unclenched my hands that were holding onto the ashes of my past and gave them to my Abba, believing He would turn them to beauty. I was in the beginning days of being a stay-at-home Momma, and now I can see that God was doing His work of sanctification to prepare me for this ministry of Motherhood. The LORD showed me, He would heal what I would reveal…After surrendering to the conviction of the Holy Spirit I confessed to God my bitterness, anger, and my sin of un-forgiveness I still had toward my Mother. My Mother. The woman who carried me in her womb for 9 months after being told she couldn’t have any more kids. 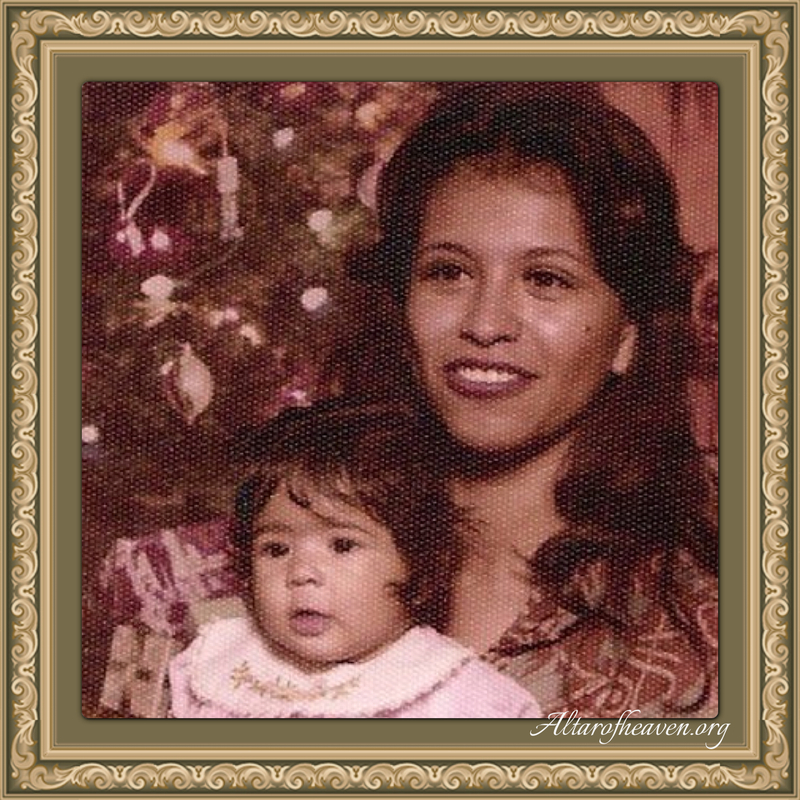 The woman who named me Arcelia, rocked me, and cared for me until I was three, then she was gone. The circumstances and reasons she left were irrelevant to my rejected heart, and I built a impenetrable wall around it. Five years later Jesus Christ found her and with godly sorrow she turned back to reconcile what was lost, but it seemed too late. I was eight years old and I had moved on, and considered her a stranger, someone I kept further than an arms distance. When I did see her occasionally I took advantage of her guilt and shame by manipulating her to get my way. Still she never stopped loving me and never stopped praying. 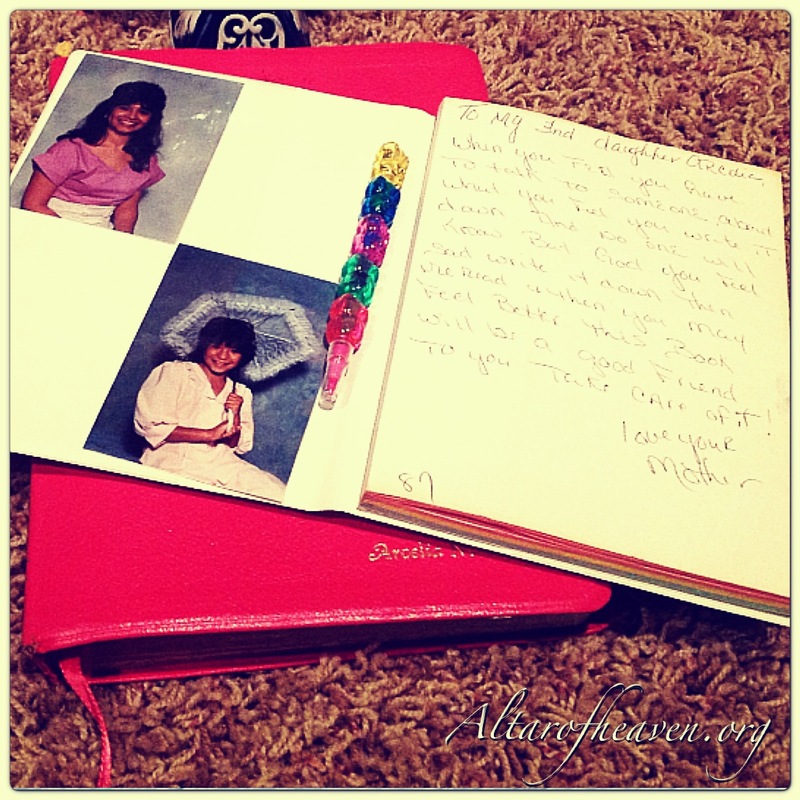 Two of the most influential items of my life…my Mom gave me: God’s Word and a Prayer journal. When I was eleven she gave me a prayer journal with our pictures in it, encouraging me to write my thoughts to the God she now knew. For my twelfth birthday she gave me my very own Bible, I hated it because I didn’t like pink and I didn’t believe. But still she loved and never gave up. I remember hearing her sing songs about Jesus Christ and some days she would spontaneously say, ‘Thank you Jesus‘ and it made me cringe. When I finally asked her why she said that ‘all the time’ she would say, “I’m just so thankful He saved me and He let me to have time with you.” I made fun of her and her faith…she suffered much and yet she never stopped loving me and never stopped praying. When I turned 20 I decided I would forgive her but it was on my own terms and in my own strength so it never lasted. It wasn’t until Jesus Christ found me and I was born again in 2009 that this sad story took a turn for God’s glory! Swinging on the bench that Spring 2010 I shared with my Mother a testimony of when I heard God speak to me. How in 2008 I finally read the Bible she gave me, and how God sent a vessel of mercy and grace to pray for our family and disciple me–the nanny that prayed herself out of a job! 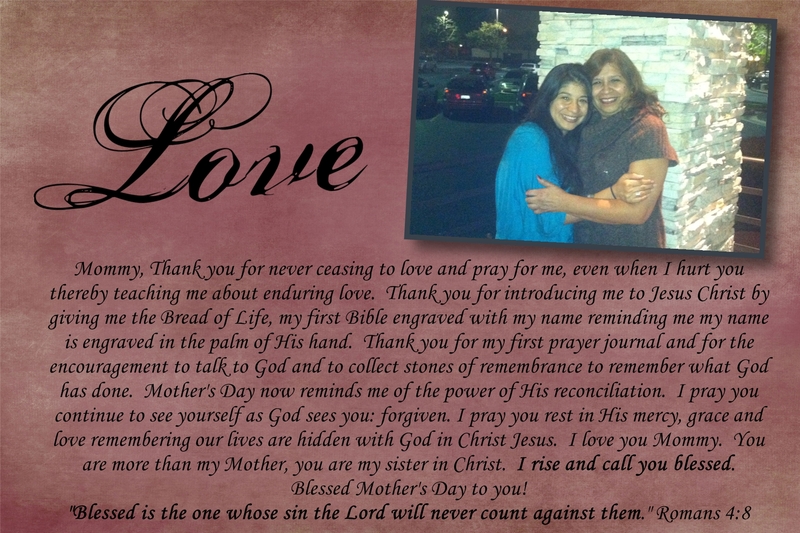 God used this loving praying nanny to open our eyes, ears and heart to the unseen. I told my Mom before Jesus Christ, I never had the confidence to be a Mother since I was never raised by her. I believed the lies that I was a better Mother working outside the home and it was best to sacrifice time with them to invest in their future. I ran away from my role as a Mother and numbed myself to the calling—and I put my work before my family. After my encounter with God in 2009, He gave me a new heart and put a new spirit within me and “removed my heart of stone from my flesh and gave me a heart of flesh” and I was no longer afraid to be a Mother. She listened as I recounted how in just 12 months God transformed my husband and I from the inside out and we began to closely follow Jesus wherever He would lead us…the first move was from Washington D.C. to Alabama. 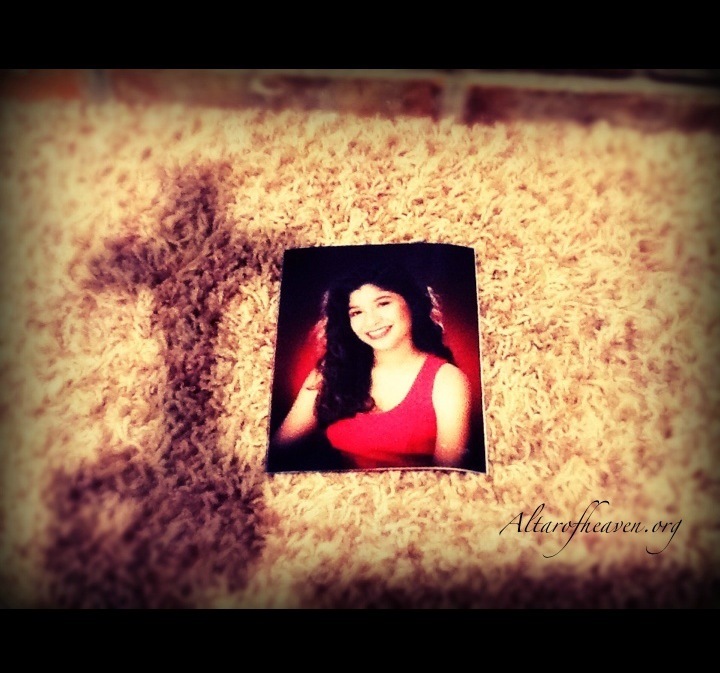 I told her about my prayer to God that day at the MOPS event when I vowed to God if He ever gave me another chance I would cut loose the noose of un-forgiveness I had around my Mother. I told Him I would forgive and love her the way only He could and how He responded to that prayer by having her call me the very next day! After years of rejection from me I realized why she rarely called other than Birthdays and holidays but this day was a different kind of phone call. She heard I was born again, a woman of prayer and she asked ME to pray for HER! I told her I knew her current trial had a specific kingdom purpose, and she was to come and spend a week with me. She came! It was a glorious week of healing and redemption by the power of God’s Holy Spirit! Now, the day before she was leaving we sat on the swinging bench sharing our hearts and tears allowing God’s Holy Spirit to guide us to healing. I asked for her forgiveness for the years of bitterness and anger I had toward her, and she quickly told me she had already forgiven me. I was thankful for the opportunity to tell my Mom God gave me a new song and no longer am I singing the ‘woe is me, my Mother left me’ song because love keeps no records of wrong. I told her I would never again hold her sins above her head. She shared with me her past concerns of my life: when she heard I was first pregnant she thought it would be difficult for me because I didn’t have her growing up to show me how to be a Mother–how would I do it? She was also concerned because I was very ambitious and career oriented and thought the children would get lost in my achievements (she was right). Then with tears she told me the most recent concern she had about me being a stay-at-home Mother…she said she thought it would be impossible to turn a once Air Force Captain and Business Consultant to a full time Mother…would it be too much for me? After all, I used to make fun of stay-at-home moms. But nothing is impossible with God. She said after spending a week of shadowing me in my new life in Christ she saw for herself the testimony, “If anyone is in Christ they are a new creation, the old has passed away, behold the new has come...” She saw that God’s power is made perfect in weakness and He is glorified! We swung in the bench of my Alabama home as the wind blew the butterfly chimes that Spring of 2010 and we joyfully laughed and lifted our voices with thanksgiving, praising God for His lovingkindness and faithfulness! 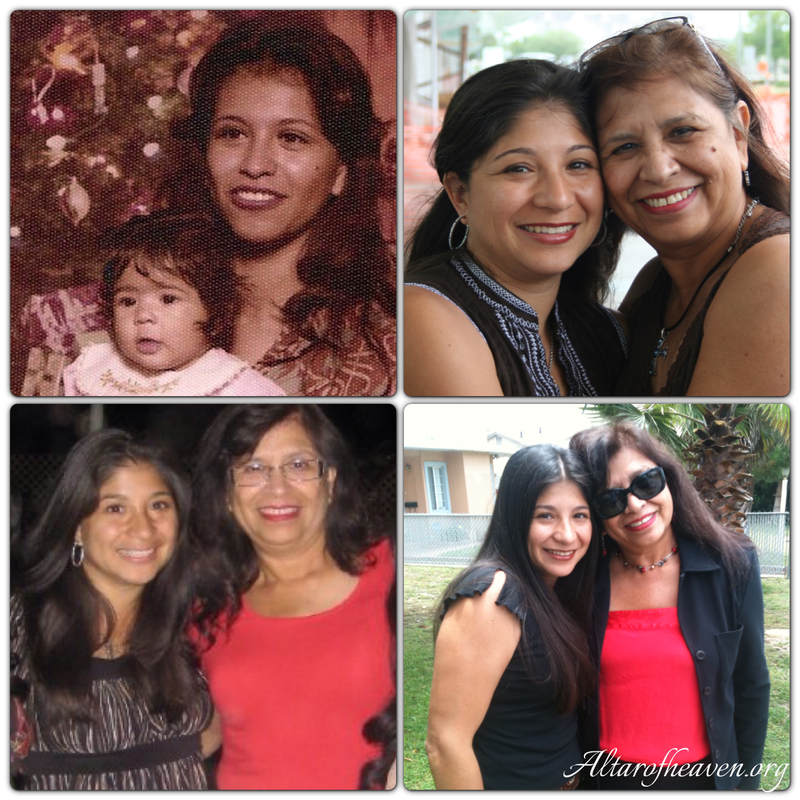 I used to lament over lost years with my Mother but by God’s grace, not anymore. I see even in our unfaithfulness God was still working, knitting our hearts together in love through her continual prayers and enduring love–it was all matter of time when I would awaken. God healed our relationship! My relationship with her is so loving and we now communicate often and she even read this entry before I posted it. She’s right. People need to know how to reconcile relationships—it is through the power of Jesus Christ (John 15:5)! God is not done with this story for His glory…In the near future my Mother is moving closer to my sisters and I so that she can spend more time with us and her grandchildren. Do you see? If God can restore what the locusts have eaten, don’t you believe He can restore anything? God is interested in reconciliation of relationships. God wants to be reconciled with everyone, and wants us to be reconciled to one another. Who do you need to be reconciled with today? Is it God or is it another? I have prayed for all who will read this…May the Holy Spirit guide you into all Truth and may you be set free!